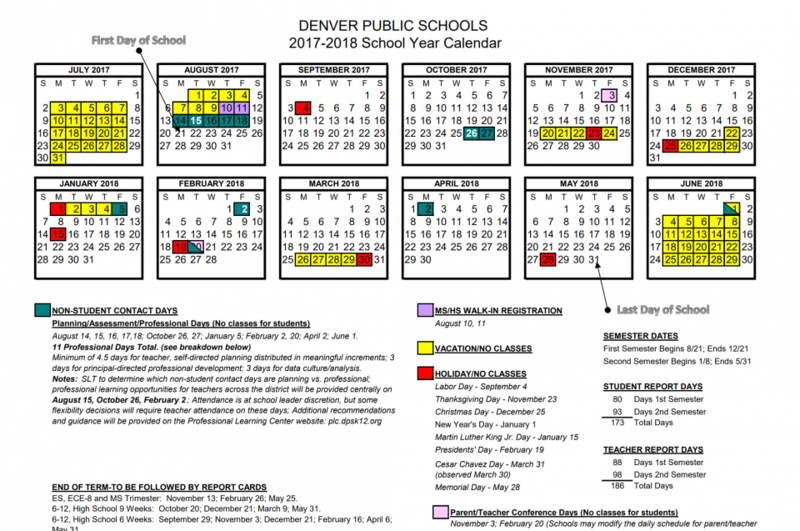 Denver Public Schools and offices are closed the week of March 26-30 for spring break and Cesar Chavez Day, which is observed Friday, March 30. As always, please confirm days off with your individual school, particularly for those families with children in our innovation and charter schools. Enjoy the break! Please go here to learn more about Cesar Chavez and visit this link to see the calendar below in additional languages.